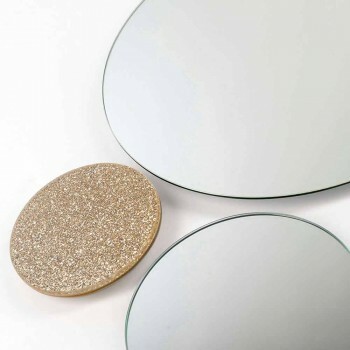 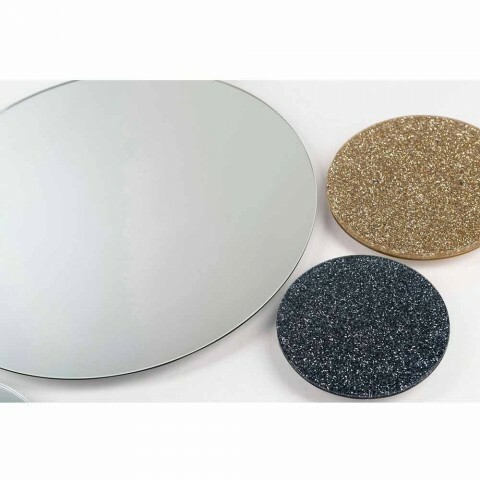 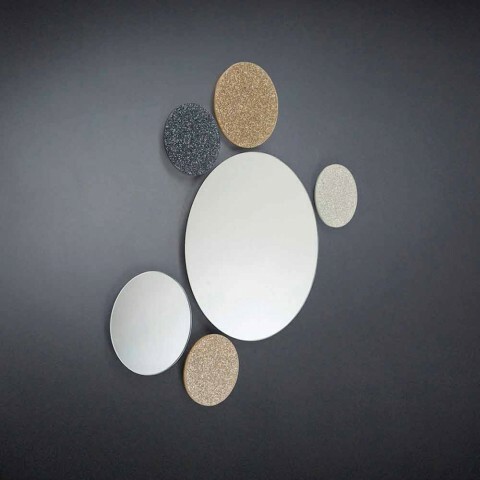 Modern design round mirror Addo, made in Italy, glitter and glass. 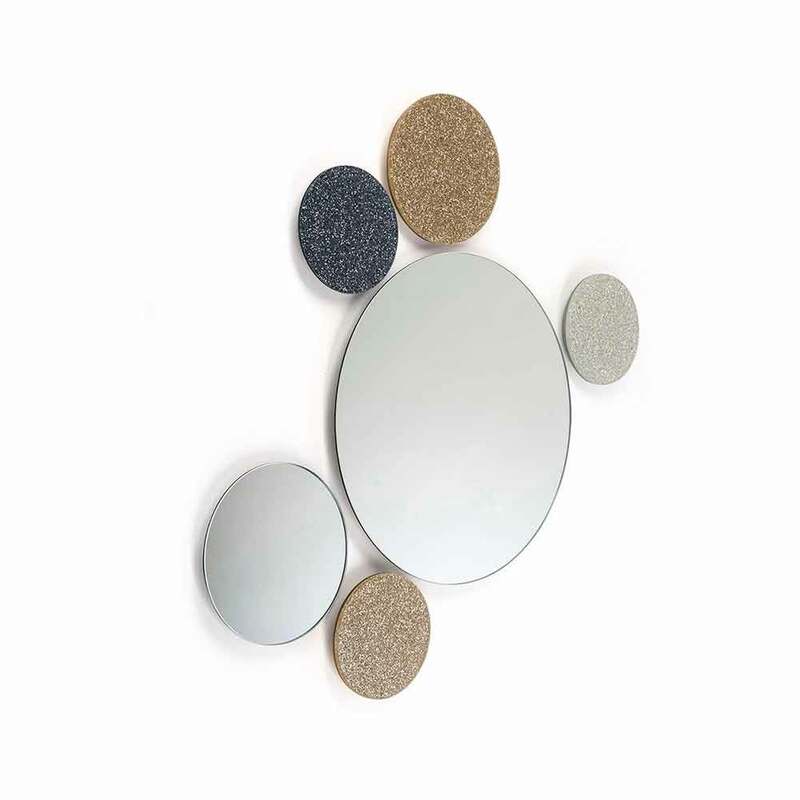 Addo was designed by the designer Giorgio Ragazzini, drawing inspiration by the planets of the solar system. 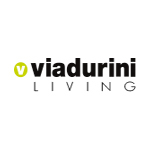 This product is made by an Italian company who was established in 1991 in Treviso, 20 km far from Venice. This Italian brand draws its inspiration from the magical city of Venice, with its enchanting architecture and marvelous canals. 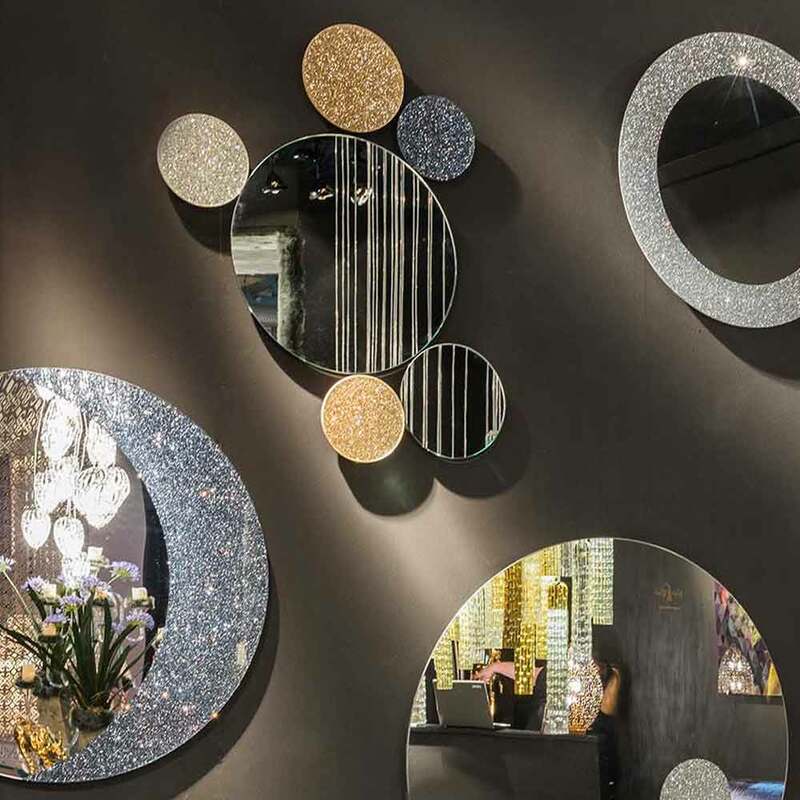 This unique city can teach the art of beautiful things, architectural proportions, the use of different materials and inspiration from distant cultures, reworked by brilliant Italian craftsmanship. A collection of unique and authentic objects created by the best designers.